Like any citizens of a world economic power, Russians are very interested in learning English. They have begun to introduce the language as part of their national curriculum, giving ESL teachers a rapidly expanding student base. Russia may not be as popular an ESL market as China, South Korea, or Japan, but it is an attractive option for many wanting to teach English overseas. It is often easier to find work in smaller Russian towns or in rural areas. Most Russian English schools require their teachers to have a TESOL certification from a known TESOL program, as well as previous teaching experience. The Russian education system changed with the fall of the Soviet Union. Students who were previously only able to attend public school are now suddenly able to attend one of the rapidly opening private schools. The public school system is an employment option for many ESL teachers, as English is now part of the official curriculum; however, job openings are less frequent when compared to private schools. Private schools are currently in demand because of the lack of support still given for English in the public school system. Young professionals are also seeking English lessons to help boost their job prospects, which means ESL teachers of business English are highly sought after. Private schools usually send teachers to the client's place of business. The ability to discuss business comfortably is essential. The number of public and private post-secondary institutions is steadily growing in Russia. There is a noticeable increase in salary for English teachers working in a Russian university or college. The requirements for teaching ESL at a Russian post-secondary school are higher than many other teaching positions. In addition to having a TESOL certification, English teachers applying to teach in this environment should have a degree, ESL experience, and a working knowledge of the Russian language. Education and an understanding of the English language are two things that are highly regarded by Russians. Many Russian parents are willing to offer large portions of their household income to ensure their children are not at a disadvantage and have a good understanding of English. Marketing is an important skill for any ESL teacher considering offering private English lessons to Russian students. There are plenty of free online forums where teaching services can be posted and there are usually also postings in Russian newspapers. Those teaching private English lessons in Russia will typically earn 500 RUB to 1,500 RUB hourly. The biggest key to finding a job teaching English in Russia is to find the hidden job market. Russian schools usually work within fairly tight budgets, leaving little to no money to advertise job openings. By conducting some research, many ESL teachers will stumble upon these hidden jobs. There are excellent websites available that post Russian teaching opportunities for free and some Russian publications also feature openings. Many Russian employment websites are written in Russian, but they can easily be translated into English using various online tools (i.e. Google Translator). The number of private international English schools in Russia grows quickly enough that it is almost impossible to keep track of them. Private language schools offer Russian children an English school curriculum in a Russian setting. Parents sending their children to private schools are responsible for paying the tuition out of their own pockets. 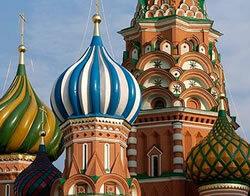 These schools are great opportunities to find ESL jobs in Russia. Required qualifications vary greatly from school to school. Denis' School was founded in 1992 as a school where both children and adults could learn how to communicate in the English language. There are now Denis' School locations in ten different Russian cities. Students range from young children to established Russian business executives. Language Link Russia currently has 200 teachers teaching English in various cities throughout Russia. 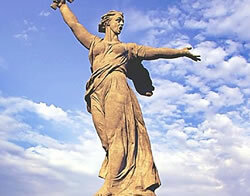 ESL teachers working for Language Link Russia all have various amounts of experience and education. In addition to paying a decent ESL salary for Russian standards, the company sometimes offers $1000 USD for a completion of a contract. Russians consider the knowledge of English to be an important factor in their personal business success and a major factor in the future career successes of their children. There are many private Russian schools that offer English classes for professional adults. In addition to finding a job teaching business English, it is also possible to offer private business English lessons. Like schools in North America, Russian children have a summer break which can last for almost three months. However, it is still possible to find an ESL teaching job while most schools are closed. Some private English schools run English day camps during the summer months. These camps can be great places to start teaching English in Russia. The summer is also a time of transition for many ESL teachers. Many teachers decide to return home or find a new job during the summer. The links listed below are ESL teaching resources that may be useful. - Most Russians have some English skills and may be able to communicate. However, Russian is still the most common language. 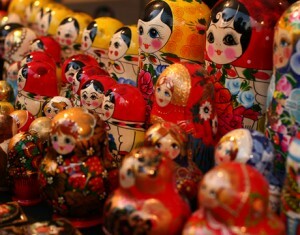 ESL teachers should consider taking some Russian language courses before leaving to teach. - English teachers should study maps and websites to learn about Russia before they leave. Use the Internet and find transit maps, restaurants, grocery stores, drug stores, hospitals, and any future place of employment. - Saving up some money before leaving for Russia could be a smart idea; a small savings will help with any unforeseen expenses, especially for a teacher new to Russia. - Moving to the other side of the world usually means that ESL teachers must find someone to manage their finances while they are gone. Some choose friends or family that they know and trust, while others opt to speak to a professional financial advisor. ESL teachers planning to come to Russia to teach English will need to get a Russian Working Visa. North Americans will find that getting a Russian visa will take a little time from home but is much easier than getting a visa for other European nations. 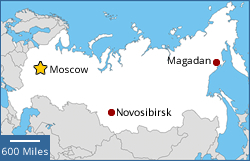 Most ESL teachers who travel to Russia to teach get their Russian Working Visa before leaving. In order to get a Russian Visa, an ESL teacher will need to ensure that they have a valid passport and will need to find the closest consulate or embassy office (see below). By filling out the proper paperwork and obtaining the required identification ahead of time, ESL teachers should receive a Russian Visa within 15 business days. Many schools will help with this application process. - Be sure to complete all areas of the application (forms can be downloaded online at http://www.russianembassy.org/). - A passport with at least two pages of free space and valid for at least six months after the last day of residence in Russia. - Every ESL teacher must bring a letter from the school that hired them stating all of the details about the job (who hired them, where they will be working, and what the position entails). - All people applying for a Russia Visa need to submit a negative HIV/Aids test taken within three months of the application date. - 3 passport-size photos for the application. - A self-addressed, prepaid mailing envelope for the Russian Embassy or Consulate to easily return the visa. Be sure to call the Russian Embassy or Consulate office in advance to confirm what documentation is needed and what the application fee is. Be sure to bring cash for the payment. Russia has finally opened its doors to people from all around the world. Members of the European Union have no advantage in finding work as an ESL teacher in Russia over Americans or Canadians. The Visa application rules are also the same for citizens of America as they are for people coming from a European Union (EU) nation. Please review the Visa application process outlined above for detailed information on how to obtain a Russian Working Visa. Consulate general offices are located in major cities and offer full services including consular services. Honorary consulates offer a limited range of services including consular services. A full list of Russian consulates in the US can be found at:http://www.russianembassy.org/. Consulate general offices are located in major cities and offer full services including consular services. Honorary consulates offer a limited range of services including consular services. A full list of Russian consulates in Canada can be found at:https://canada.mid.ru/web/canada-en.